Russia on Cyber Attack Accusations: Where’s the Proof? With the Russians demanding to see evidence that implicates them in cyber attacks, President Barack Obama is vowing retaliation for hacking operations aimed at interfering with the US election, ABC News reports. A Russian official says the US should stop accusing Russia of meddling in its elections, prove it or shut up about it, CNN reports. IT Alliance for Public Sector, a group representing leading technology and service provider companies who work with the federal government, offered recommendations to the incoming administration on how to improve cybersecurity at agencies and the Department of Defense, Information Technology Industry Council reports. Citing the US government’s highly vulnerable aging information technology systems as threats to national security, the group recommends an immediate inventory and assessment of federal IT systems and a systemic approach to modernize out-of-date technologies. Beijing to return an underwater drone to the US that was seized by China in international waters, The New York Times reports the the two countries sought resolution to avoid sharpening tensions in the run-up to the inauguration of President-elect Donald J. Trump. However, The Washington Post reported, Trump tweeted, “We should tell China that we don’t want the drone they stole back- let them keep it!”. The New York Times also reports that China signaled late last week it had installed weapons on disputed South China Sea islands and would use them like a “slingshot” to repel threats, compounding tensions with the incoming Trump administration. The Chinese Defense Ministry suggested the country was watering down its pledge to not militarize the islands. ADM Harry B. Harris Jr., head of the US Pacific Command, told The New York Times that America’s commitment to the Pacific region would continue after Trump becomes president. US opposition to Chinese expansion in the South China Sea also would continue. “You can count on America now and into the future,” Harris said. Iranian officials are convinced Trump will not walk away from the US end of the nuclear deal with Iran, instead opting for pragmatism and business deals, Defense News reports. Trump’s inauguration is less than a month away. Officials and military organizers held a walk through last week of logistics for transition officials and media members, complete with a map of Washington, DC, that was bigger than the Oval Office to illustrate security plans, Military Times reports. “We’ve done this all before, and we’re ready,” said Army Brig. Gen. William Walker, commander of Joint Task Force-District of Columbia. 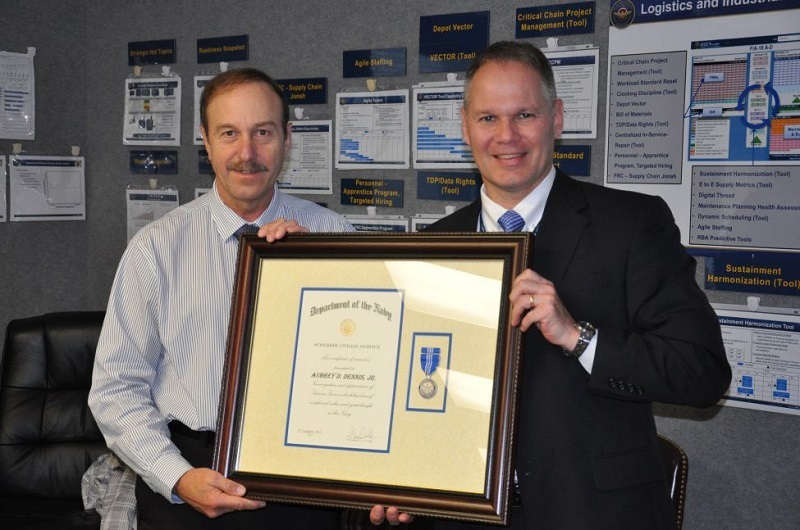 Roy Harris, right, presents Aubrey Dennis with a Department of the Navy Superior civilian Service Award. The Tester newspaper reports that Aubrey Dennis, division head at the Naval Air System Command Aviation Logistics and Maintenance Analysis Division, was presented Dec. 6 with a DoN Superior Civilian Service Award for his work on Vector, a web-based data analysis tool that moves naval aviation closer to predictive capability. The Army rolled out the replacement for its 56-year-old armored M113 Tracked carrier. The Armored Multipurpose Vehicle, or AMPV, will serve as an ambulance, mobile command post, and more. It took 56 years of casualties in the under-armored M113, from Vietnam to Iraq, and the multi-billion-dollar implosion of the previous replacement program, the Future Combat Systems, but the Army has finally gotten in gear, reports Breaking Defense. A Carnegie Mellon University cybersecurity expert, speaking at a Passcode event in Washington, DC, said digital defenders need to attack their own systems to discover the flaws, The Christian Science Monitor reports. Passcode gathered experts from government, academia, and the private sector. David Brumley told participants to prepare for hackers by invading their own networks. A new report, “Through the Eyes of Cyber Security Professionals,” reveals just how the cybersecurity skills shortage affects organizations and how those shortages impact the workload of employees. 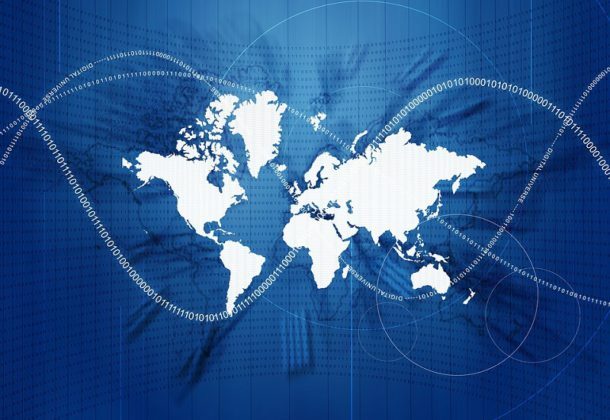 Network World reports among the findings: 29 percent of cybersecurity professionals say the global cybersecurity skills shortage has had a significant impact on their organizations. Bell Boeing Joint Program Office, California, Maryland, is being awarded $246,202,708 for modification of delivery order 0012 under a previously awarded contract (N00019-09-D-0008) for repair of various parts on the V-22 aircraft. This modification includes a one-year base period and a one-year option period. If all options on the contract are exercised, the total value of this contract will be $545,240,600. Work will be performed in Fort Worth, Texas (80 percent); and Ridley Park, Pennsylvania (20 percent). Work is expected to be completed by December 2018. If all options are exercised, work will continue through December 2019. Fiscal 2017 working capital fund (Navy) in the amount of $184,652,031 will be obligated to fund the delivery order and funds will not expire. One company was solicited for this non-competitive requirement in accordance with 10 US Code 2304(c)(1), with one offer received. Naval Supply Systems Command Weapons Systems Support, Philadelphia, Pennsylvania, is the contracting activity. Bell Boeing Joint Program Office, California, Maryland, is being awarded $165,704,499 for modification of delivery order 0013 under a previously awarded contract (N00019-09-D-0008) for repair of various parts on the V-22 aircraft. This modification is a two-year base period with no option period. Work will be performed in Fort Worth, Texas, and is expected to be completed by Dec. 31, 2019. Fiscal 2017 working capital funds (Navy) in the amount of $82,852,250 will be obligated at the time of award and will not expire at the end of the current fiscal year. One company was solicited for this non-competitive requirement in accordance with 10 U.S. Code 2304(c)(1), with one offer received. Naval Supply Systems Command Weapons Systems Support, Philadelphia, Pennsylvania, is the contracting activity. Sotera Defense Solutions, Herndon, Virginia (N00173-17-D-2007); Leidos Inc., Billerica, Massachusetts (N00173-17-D-2006); EOIR Technologies Inc., Fredericksburg, Virginia (N00173-17-D-2005); and Packet Digital LLC, Fargo, North Dakota (N00173-17-D-2008), are each being awarded an indefinite-delivery/indefinite-quantity, multiple award contract in the combined amount of $48,000,000 for engineering and technical support to the Naval Research Laboratory Electronic Science and Technology Division. Firm-fixed-price, firm-fixed-price-level-of-effort and cost-plus-fixed-fee orders will be issued against this contract as required. Work will be performed in the Naval Research Laboratory, Washington, District of Columbia (90 percent); and the contractor facilities (10 percent). Work is expected to be completed Dec. 14, 2021. Fiscal 2017 working capital funds (Navy) in the amount of $2,500 will fund the initial task order and will satisfy the required minimum amount. No funds will expire at the end of the current fiscal year. This contract was competitively procured under request for proposal number N00173-16-R-HD01, with five offers received. The Naval Research Laboratory, Washington, District of Columbia, is the contracting activity. EMCOR Government Services Inc., Arlington, Virginia, is being awarded a maximum amount $16,780,242 indefinite-delivery/indefinite-quantity contract for base operating support services at Naval Support Facilities (NSF) Washington, U.S. Naval Observatory and NSF Joint Base Anacostia Bolling, Washington, District of Columbia; NSF Bethesda, NSF Carderock, NSF Thurmont and NSF Indian Head, Maryland; and NSF Dahlgren, Arlington Service Center and Marine Corps Base Quantico, Virginia. The work to be performed provides for all labor, supervision, management, tools, materials, equipment, facilities, transportation, incidental engineering, and other items necessary to perform base operating services to include but not limited to facilities investment, custodial, and fire truck equipment maintenance services. Work will be performed in the National Capitol Region of the Naval District Washington, and is expected to be completed by December 2017. No funds will be obligated at time of award. Fiscal 2017 operations and maintenance (Navy); fiscal 2017 Defense health program; fiscal 2017 Defense working capital funds; and fiscal 2017 operations and maintenance (Marine Corps) contract funds in the amount of $10,732,625 for recurring work will be obligated on individual task orders. This contract was issued under the authority of 10 U.S. Code 2304(c)(1) and Federal Acquisition Regulation 6.302-1 – only one responsible source and no other supplies or services will satisfy agency requirements. 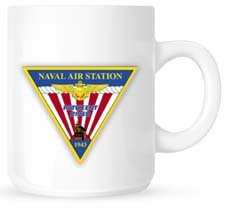 The Naval Facilities Engineering Command, Washington, Washington, District of Columbia, is the contracting activity (N40080-17-D-0303). NCI Information Systems, Reston, Virginia, was awarded a $43,582,674 modification (P00014) to contract W91CRB-15-C-0035 for systems engineering and technical assistance services for Program Executive Office – Soldier headquarters and subordinate project management offices to include soldier protection and individual equipment, sensors, sights and lasers, weapons, and warrior. Work will be performed at Fort Belvoir, Virginia, with an estimated completion date of Dec. 18, 2017. Multiple fiscal year operations and maintenance (Army); other procurement (Army); and research, development, test and evaluation funds in the amount of $43,582,674 were obligated at the time of the award. Army Contracting Command, Aberdeen Proving Ground, Maryland, is the contracting activity. Primus Solutions, LLC, Beltsville, Maryland, was awarded a $12,628,303 modification (P00053) to contract W91247-12-C-0023 for refuel and defuel services contract. Work will be performed at Fort Rucker, Alabama, with an estimated completion date of December 16, 2017. Fiscal 2017 operations and maintenance, Army funds in the amount of $12,628,303 were obligated at the time of the award. Army Contracting Command, Fort Rucker, Alabama, is the contracting activity. KPMG LLP, McLean, Virginia, is being awarded a maximum $24,559,741 labor-hour contract for financial statement audit services. Work will be performed in McLean, Virginia, with an expected completion date of Dec. 31, 2017. The contract has a 12-month base period with four individual one-year option periods. This contract is the result of a competitive acquisition for which one quote was received. Fiscal 2017 Army operations and maintenance funds in the amount of $24,559,741 are being obligated at the time of the award. The Defense Finance and Accounting Service, Contract Services Directorate, Columbus, Ohio, is the contracting activity (HQ0423-17-F-0010). CALIBRE Systems Inc., Alexandria, Virginia, was awarded a $7,531,367 firm-fixed-price contract for continued support to Army force management school training for Senior Executive Service and general officers. Bids were solicited via the Internet with one received. Work locations and funding will be determined with each order, with an estimated completion date of Aug. 16, 2017. Army Contracting Command, Fort Belvoir, Virginia, is the contracting activity (W91QV1-17-D-0001). Azure Summit Technology, Fairfax, Virginia, is being awarded a $48,454,343 five-year, firm-fixed-price, indefinite-delivery/indefinite-quantity contract for support of the Common Chassis Signals Intelligence. The Common Chassis Signals Intelligence mission sensor is used on manned and unmanned platforms in support of multiple Navy missions. It will be utilized for intelligence, surveillance, and reconnaissance support on each platform including identification and localization intelligence derived from electronic signals and systems that may include foreign targets, such as communications systems, radars, and weapons systems. This effort will provide intelligence, surveillance, and reconnaissance capabilities to a broad spectrum of forward deployed Navy platforms. Work will be performed in Melbourne, Florida (70 percent); and in Fairfax, Virginia (30 percent), and is expected to be completed by December 2021. Fiscal 2017 aircraft procurement (Navy) funds in the amount of $5,588,288 will be obligated at the time of contract award and will not expire at the end of the current fiscal year. This contract was not competitively procured in accordance with 10 U.S. Code 2304(c)(5), it was authorized or required by statute. Naval Surface Warfare Center, Crane Division, Crane, Indiana, is the contracting activity (N00164-17-D-JT09). Science Applications International Corp., McLean, Virginia, is being awarded an $11,838,878 cost-plus-fixed–fee, definitive contract for MH-60 helicopter weapon systems support and sustainment. The MH-60 helicopter weapon systems are helicopter armament subsystems and are used for offensive and defensive purposes. The MH-60 weapon systems consist of the MH-60R and the MH-60S helicopters. The MH-60R is the Navy’s primary anti-submarine and anti-surface warfare platform and the most advanced maritime multi-mission helicopter in operation and deployed globally today. The MH-60S is the Navy’s maritime workhorse, and safely and reliably performs missions from vertical replenishment to Medevac. This contract combines purchases for the Navy (92 percent); and the governments of Denmark (2 percent); Australia (2 percent); and Saudi Arabia (2 percent), under the Foreign Military Sales Program. Work will be performed in Indianapolis, Indiana (75 percent); and in Crane, Indiana (25 percent), and is expected to be completed by December 2021. Fiscal 2017 working capital fund (defense) funding in the amount of $100,000 will be obligated at the time of contract award and will not expire at the end of the current fiscal year. The contract was not competitively procured in accordance with 10 US Code 2304(c)(1) – only one responsible source and no other supplies or services will satisfy agency requirements. The Naval Surface Warfare Center, Crane Division, Crane, Indiana, is the contracting activity (N00164-17-C-JN38).